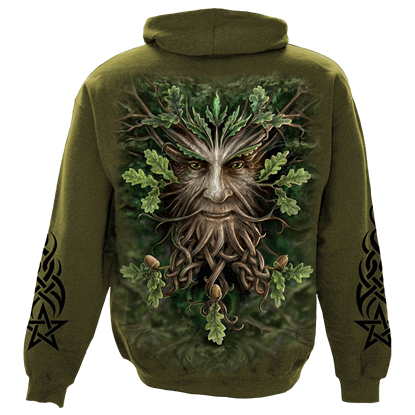 The wisdom of the trees lives on in the spirit of this powerful and kindly nature deity. 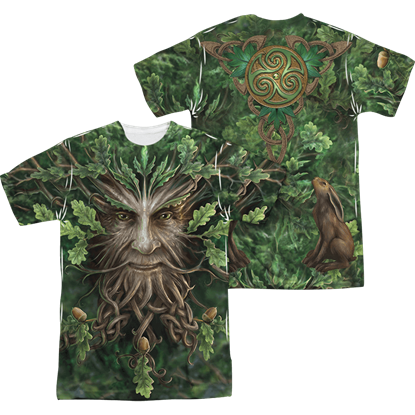 The Anne Stokes Oak King T-Shirt displays the leafy face of the Greenman across the front of the chest, Celtic knots weaving in his beard. It has always been said that it is important to know your roots. 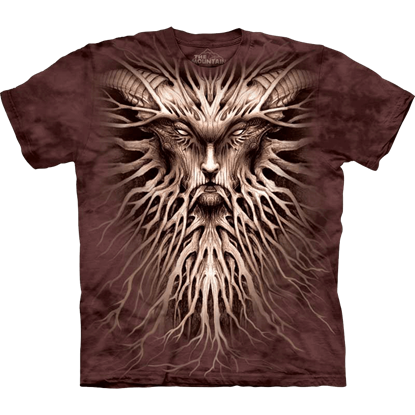 Now, you can know and show off your roots with this Dark Roots T-Shirt, which traces the different roots back to a creature with an intriguing, archaic look. 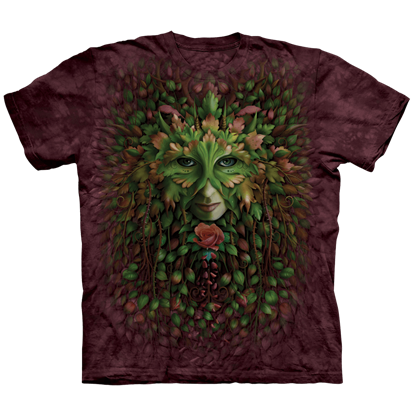 Even a passing glance will reveal that this is not a typical greenman, but is a beautiful Green Woman T-Shirt. Like her male counterpart, this mysterious figure peers out at the world, her face composed of the plants that surround her. Allow us to introduce you to the Oak King, master of the forest and sage, whose branches and leaves know more than vast libraries of lore. Now, you can know this legendary figure personally, just by wearing this Oak King Hoodie. Allow us to introduce you to the Oak King, master of the forest and wise sage, whose branches and leaves know more than the most libraries of lore. Now, you can know this legendary figure, just by wearing this Oak King T-Shirt. 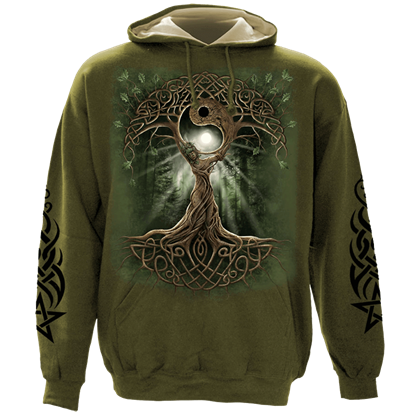 Evoke the spirits of the forest and pledge your loyalty to the rulers of the woodlands, with the Oak Queen Celtic Hoodie. This garment is great for those who can appreciate the beauty and majesty found within the simplicity of nature. Deep within the woods there is legend of a mighty queen who rules the realm and protects all creatures found within the nature. 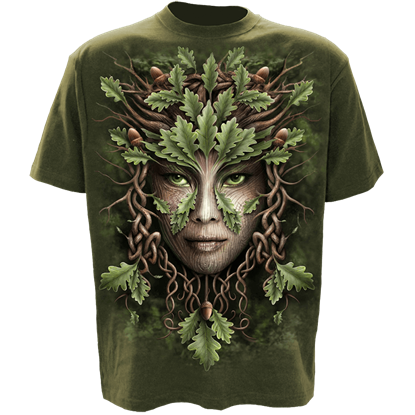 Embrace this organic beauty and show your respect with the unique Oak Queen Celtic T-shirt. 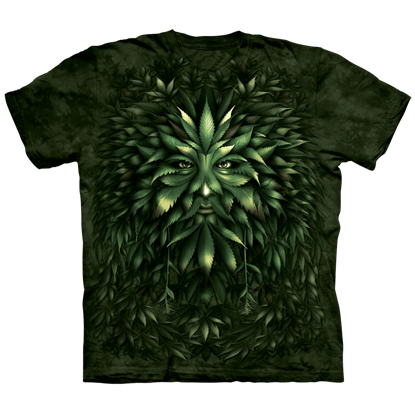 This deity to the forest and nature is here to introduce some harmony into your life. 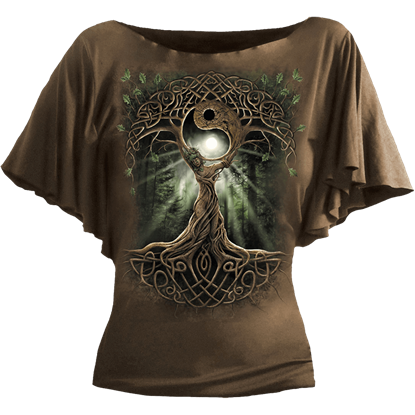 Allow peace which is inspired by the beauty of nature to flow into you, when wearing this stylish Oak Queen Drape Womens Shirt. 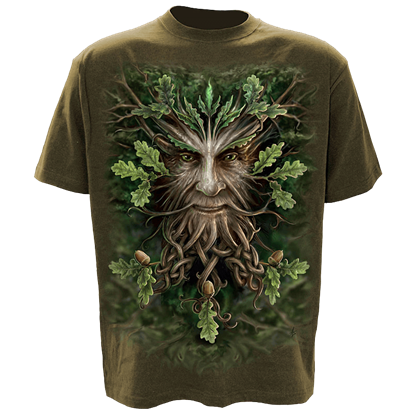 The Royal Greenman T-Shirt is a classic greenman design that has something of a regal bearing. There is something in the greenmans intense stare and the regal arrangement of his leaves that makes him a king among traditional greenmen.